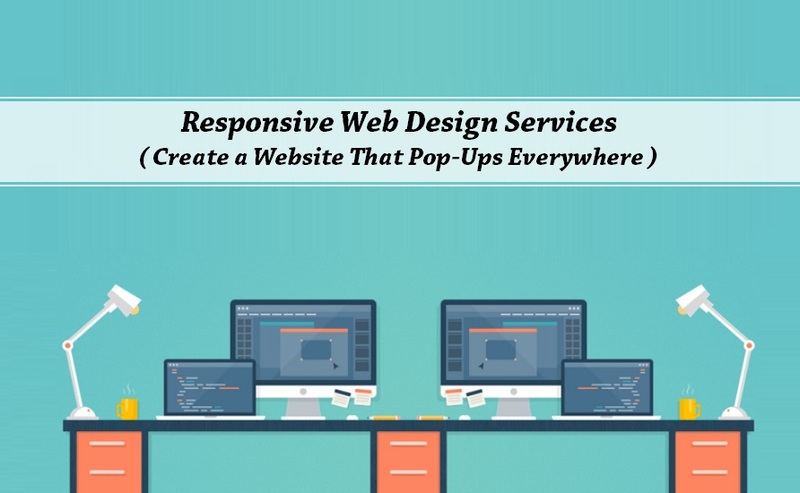 Create a Website That Pop-Ups Everywhere! A responsive web design ensures that your online presence is potential enough to get adapted to every screen size platforms. The statistical report also highlighted that among 5.07 billion across the globe having a responsive website is a trustworthy element to connect with them. The increasing penetration of the above statistical data clearly indicates that being recognized as a responsive is not just in trend but becomes mandatory to not lose the attention of any potential customers just with a matter of different devices. More than 90% of people today are switching their preferences to use smart phones or tablets as they come handy and remain ON all time. What If your business would have been able to mark its presence on all screen sizes devices right from smart phones to the desktop. What thinking, how this will going to be possible? Well, this is actually what we call getting responsive. Where the world wide web has not just limited to one smart device and likes to do multitasking activities to take the advantage of such holistic scenario, adopting responsive websites is what we call a smart move. Therefore, it becomes mandatory to have a website that is well employed with responsive web touch to operate in every screen size and device. With us, you get the perfect fruitful solutions which make your websites smart enough to adapt its content on the basis of the screen size of any device. Being one of the pioneered company of web designing we promise to bring out these added benefits to your business locker and make your website future-proof for every device which is in existence or yet to launch in the market. Therefore, to get a smooth compatibility from device to device our flawless service can give you smart ladder to enter directly to the customers mostly used devices. We create web pages that are easily navigable on the screen of any size and device to migrate our clients reach into mobile-optimized websites. While designing such sites, our highly skilled web designers keep some key points in mind, namely use CSS3 media queries, clear readability with fluid navigation grids and avoiding horizontal scrolling to make it appear to the users across multiple devices. We maintain a responsive web design approach aimed at crafting sites for screens of all kinds and sizes acquire lasting impact on the users that makes them head to the website again and refer to others. 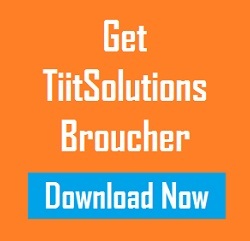 Why Tiit Solutions For Responsive Web Development? Developing Responsive Web Design is our backbone and our team of engineered designers are our key strength for implementing the best in class responsive practices to ensure user-friendly website development. ✓ We ensure that our developed website responds efficiently to all screen size and adapts to changes due to its responsive nature. ✓ We have worked on challenging client requirements and developed incredible web solutions for them with our vast experience. ✓ We help you to boost your business productivity, efficiency and traffic at the same time without compromising on quality. ✓ We guarantee the creation of an online presence that helps you to succeed and win more customers. ✓ We can successfully migrate your mobile-enabled website into a mobile-optimized websites running on different platforms- iPad, iPhone and Android devices with easy navigation and better user experience. When you’re looking for responsive web design services for your business look no farther than us. Try us out once and witness a striking improvement in your business graph get your site responsive.